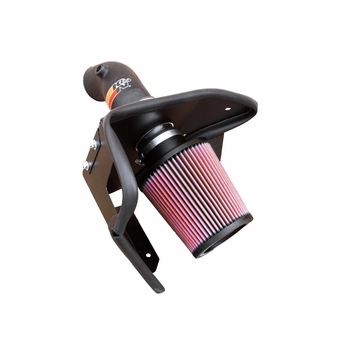 The K&N 57-1002 FIPK air intake system replaces the restrictive factory air filter and air intake housing in some BMW models. K&N intakes are designed to dramatically reduce intake restriction as they smooth and straighten air flow. This allows your BMW's engine to inhale a larger amount of air than the factory air filter assembly. More air means more usable power and acceleration throughout the engine's RPM range. 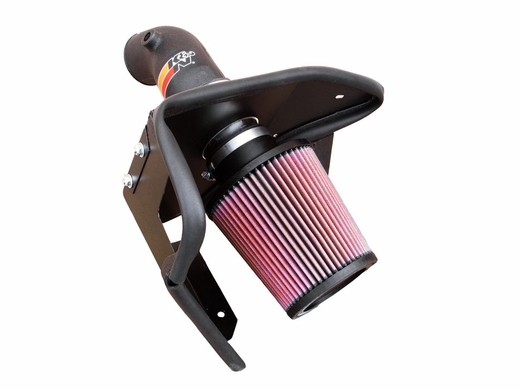 The 57-1002 air intake comes with a K&N high-flow air filter and a heat shield that installs into the lower air box and connects to the factory fresh air tube. Air is directed past the mass air sensor and through an aerodynamically engineered intake tube into the engine's throttle body for a guaranteed power gain. The tube accommodates the crankcase vent tube. The oversized tapered conical air filter can be used for up to 100,000 miles before servicing is needed depending on driving conditions. This air intake is relatively easy to install usually in 90 minutes or less using the existing factory mounting points. The tools needed are a screw driver, ratchet set and several wrenches. K&N 57 Series FIPK's are street legal in all 50 US states and come with K&N's Million Mile Limited Warranty.